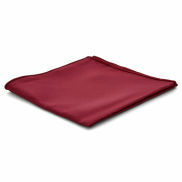 The pocket square was a true burgundy that went well with the suspenders and set the tone for the wedding. Good service. Excellent product. No complaints. Ordered this for my wedding to go with the matching bow tie. I'm extremely happy with the quality of the product and it looked snazzy as heck! 10/10 will order from Trendhim in the future again. 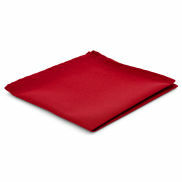 Tucking a pocket square in your jacket's pocket adds a touch of class and elegance to any suit and is a great way to enhance your appearance. 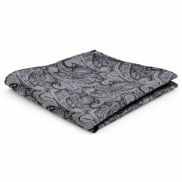 At Trendhim, we carry a gorgeous selection of both silk and non-silk pocket squares in a dazzling variety of colors and patterns. Use the dropdown menus to find your favorite one! 10 1/4" x 10 1/4"
10 5/8" x 10 5/8"
11 3/8" x 11 3/8"
13 3/4" x 13 3/4"
9 5/8" x 9 5/8"
8 5/8" x 8 5/8"